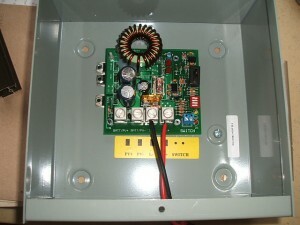 A linear current booster (LCB) efficiently couples a photovoltaic solar array to a DC motor. battery system. It also helps centrifugal pumps and fans under low-light conditions. Solarjack SDS & Shurflo pumps, jack pumps, fans, blowers, compressors. pump so the long run is at the higher voltage. disconnects when switch MAKES contact. 5V circuit. 2-conductor cable required. #18 wire can go 2000 ft.